1.2 billion people , with an ancient Culture and long Culinary traditions , Indian Cuisine seems to be surrounded by an aura of mystery and myths , but the truth, was and still is, a Regional and Seasonal Cuisine that has Spices woven into it's very DNA . 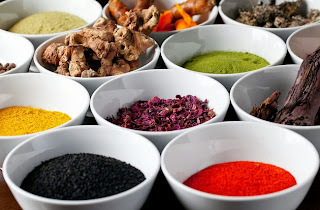 Spices , you can say are the backbone of Indian Cuisine and they are also considered the elixir of health . Today , the Chefs at RASAM offers one the chance to savour this fantastic , complex and generous cuisine and thru an exciting and diverse menu , allows us to experience Indian food , the way it was intended . We started with a first course of Palak Patta , crispy Spinach leaves topped with honeyed yoghurt and fresh mint chutney . 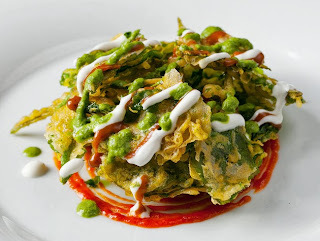 Each spinach leaf was encased in a light , lacy & crisp batter , deep fried and served layered with the added bonus of having the cooling properties of fresh mint and yoghurt . 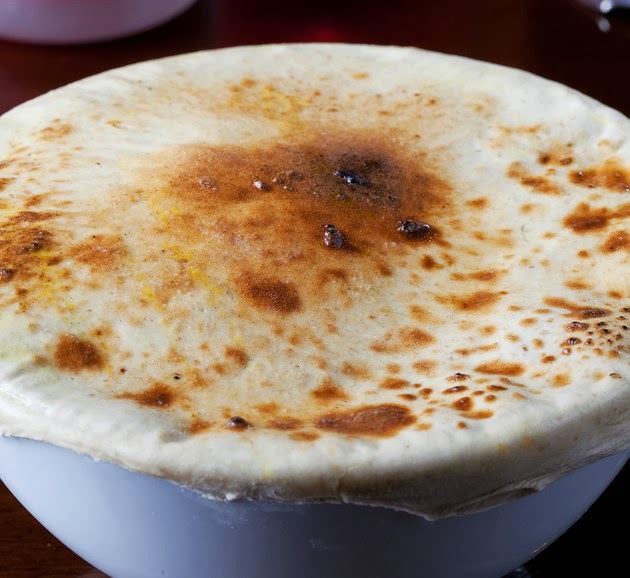 A deliciously light dish whose simplicity belies it's full flavour . Next were Tawa Prawns , stir fried tiger prawns with mustard seeds , curry leaves , chilli powder , fenugreek , ginger and garlic . 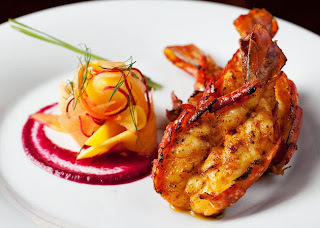 The prawns were succulent yet indulgent with the generous use of eye watering mustard seeds . Spicy but as a starter , it fulfilled it's purpose in whetting the appetite and awakening the taste buds . Spot on and with intense flavours . Our second course of Murgh ki Chaamp , were a trio of Chicken bites and this was not as spicy as it looks , but was rather well rounded and mild . The wonderful depth of flavours and creaminess simply relied on the relevant marinades used. We had a selection of tender pieces of chicken in a Cream , cheese & lemon zest . Red chilli , garlic & yoghurt , but my favourite was a chicken thigh still on the bone in a Mustard paste , yellow chilli powder , mace & Indian long pepper . Simply delicious. 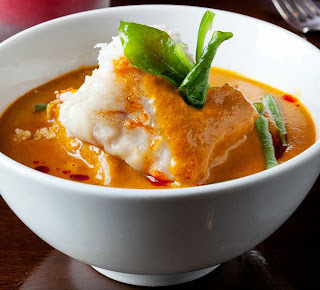 Our Third Course of Mappas Fish was Fresh Hake , Fresh turmeric , Coconut milk and Fresh Tamarind . This was delicate in colour , flavour and was absolutely divine . The Hake fell apart at the touch of ones fork , the turmeric paste and tamarind added background flavours but did not overpower . A winner , I am still dreaming about this dish . A side salad of mixed leaves , shredded mango & citrus fruits completed this evocative combination of flavours of the Malabar coastline . 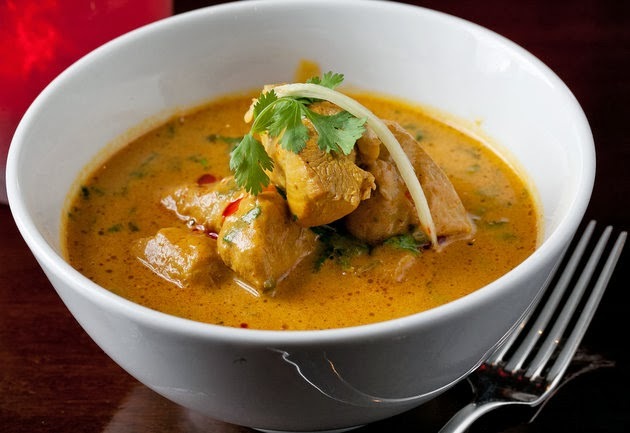 Our fourth course of Kaddu Murgh , were tender pieces of Chicken and Butternut squash in a rich sauce of yoghurt , star anise , green chillies & green cardamon . The whole spices added a wonderful depth and roundness to the flavour and sweetness of the butternut squash . A perfect and flavoursome combination . 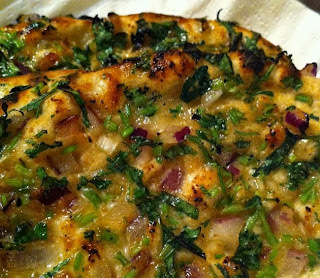 It was served with the most delicious baby naan . Our Fifth course of Lal Maas & Dum Pukht Gosht , were two contrasting flavours of full bodied slow cooked lamb dishes , Lal Maas is tomato base , with red chillies , garlic , ginger , coriander seeds & Rasam own blended garam masala . 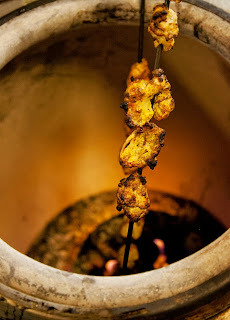 whereas Dum Pukht is yoghurt based and infused with aromatic spices that will gradually reveal it's seductive flavours . 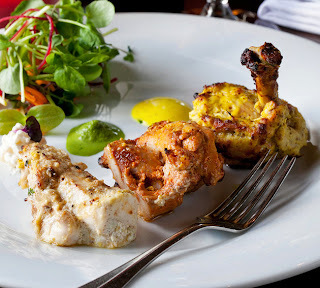 As Prateek , Rasam 's restaurant manager , charmingly points out , " You 'd put the lamb or kid goat , on to cook , go play a game of chess and by the time it was over , the meat would be cooked and the loser would have to pay for it " . 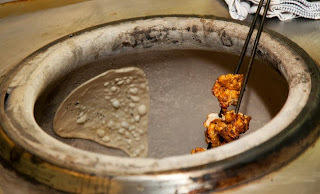 This is a traditional way of cooking over charcoal , where the Cooking dish is sealed with a lid of flour dough . 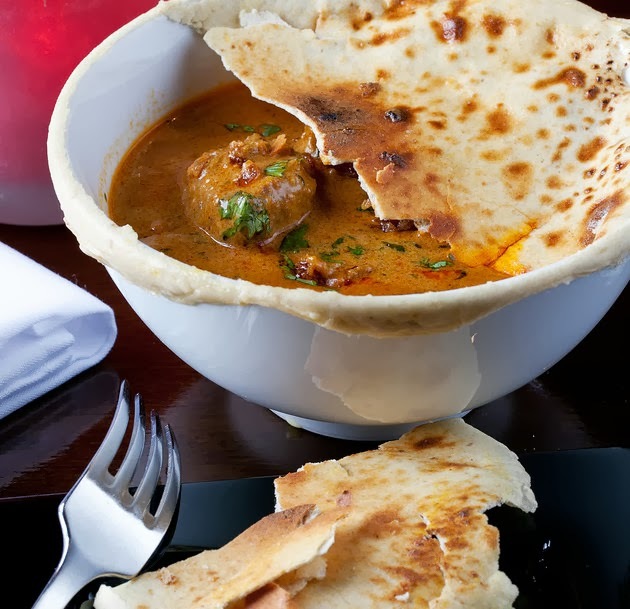 Here at Rasam , the lid is made of a flat bread , which is then used to scoop up every morsel on your plate , and they were . These were robust dishes , bold , full of flavours and unapologetic and would leave even the most stiff - nosed drooling . 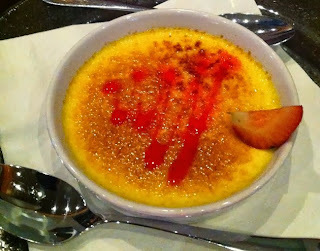 We concluded our meal with a Rose petal Creme brulé & Gathabawn Coconut cream ice cream. The Creme brulé with just a hint of rose water , was delicate , velvety and just sweet enough . A perfect dessert to end a most delicious meal. RASAM without doubt offers the best in Indian Cooking with freshly dry- roasting , blending and grounding their own spices daily . Their Lamb , Chicken and Fish are IRISH and sourced locally and the vegetables from local Artisan producers . I love the traditional methods used here and tasting a cuisine the way it was intended .